Today's stop on the Model Spy blog tour, hosted by JKS Communications, features my interview with the amazing author who brought us the dazzling young adult novel, The Summer My Life Began! 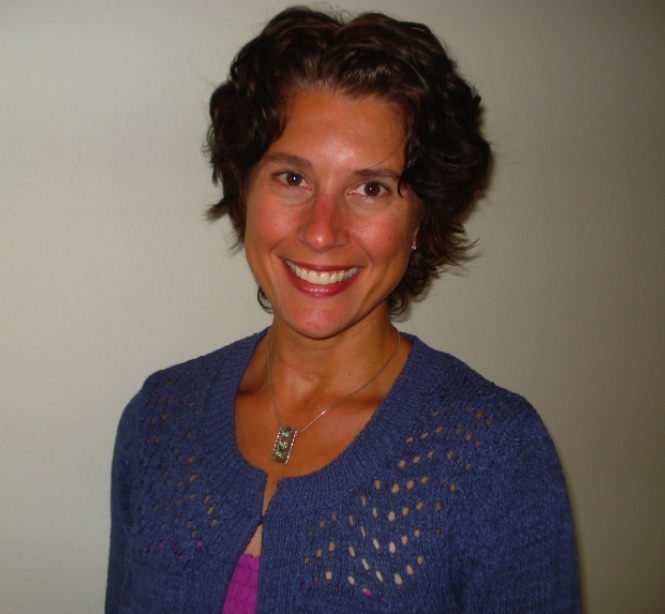 Shannon Greenland answers a few questions about her YA series, The Specialists, and what she's up to next. Teen genius Kelly James is in a lot of hot water. A whiz with computers, she agreed to help her college RA, David, uncover some top-secret information. After all, she doesn't have many friends and David has always been nice to her. It doesn't hurt that he's supercute and irresistible, too. All she has to do is hack into the government's main computer system. But a few hours later, her whole life changes. She is caught and taken in for questioning, only this isn't your run-of-the-mill arrest. Rather than serve a juvenile detention sentence, she accepts the option to change her name and enlist in a secret government spy agency that trains teen agents to go undercover. As if that wasn't overwhelming enough, she discovers that David works for this agency as well! And before she even begins to understand what is going on, she's sent on her first mission as an undercover model. And who better to partner with than David himself! What memories of Model Spy’s 2007 release stand out to you? For me, it was the enormous amount of fan mail I received. I couldn’t believe it! And not just from the teens but from moms too. I’m not a mom, but I figured if they were emailing me, I must’ve done something right. Much like your latest release, The Summer My Life Began, Model Spy features a lovable, kind-hearted heroine with a special passion. What helped you mold such admirable characters like GiGi and Elizabeth Margaret? I thought about all the characters I’ve read over the years and which ones stood out to me. It’s always the fun but flawed characters that stay in my brain. So when I created GiGi and Em I wanted unique girls who others could relate to. Of course GiGi’s a teen spy and no one cannot relate to that, but you know what I mean. 5 books in The Specialists series were released in print, and now the series has recently been released in digital formats. Can you tell us about The Specialists, where it all began and how you developed the idea? I love this question. The Specialists came about, literally, at 6 in the morning at a yard sale. My friend, Britta, and I were sitting in lawn chairs, drinking coffee, and I told her I wanted to write a teen book. She looked at me and said, you should totally do spies. Gigi’s story is still relevant and extremely relatable to today’s readers. 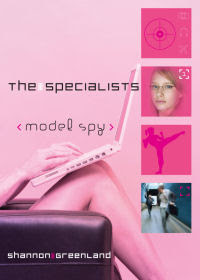 What do you think of Model Spy being brought back to life, so to speak, in the Young Adult market now? I’m so excited all the books are available in e-format! What’s cool is that readers I had years ago have now passed the books down to their little sisters. And those little sisters have given them to friends. That’s the thing about books, they live on forever. I know I’ve picked up books that were pubbed years ago and absolutely adore them. If you could go back in time to the moments when you began writing the series, is there something about the characters or events of the stories that you would change or add to? Gosh, I don’t think so. I’m really happy with how the individual books and the series as a whole came together. Will you be working on more Specialist novels in the future? I get this question a lot. For now, The Specialists are on hold. Honestly, if I did more books, I might expand on Bruiser’s character. I just adore her. What can readers expect next? I just finished the first book in YA suspense trilogy. It’s much darker than I usually write and oh so haunting. I’m very excited to see where it will go. Shannon Greenland dreaded reading and writing as a kid. Ironic, as she’s now a successful award-winning author. Her 5-book series for young adults, The Specialists, as well as her other novels, received such honors as National Booksellers Best, Daphne du Maurier and Romantic Times recognition, National Readers Choice, CAPA nominee, Aspen Gold Readers Choice Award, Holt Medallion and the Popular Paperback award from the American Library Association. Penguin Publishing launched Greenland’s latest novel The Summer My Life Began in May 2012, and brings her entire spy series to e-form this winter. Shannon’s eager for adventure outside of a book’s pages. Hiking, rafting, climbing, caving, swimming, snorkeling, sailing, surfing, mountain biking, spelunking, canoeing, power lifting, running, camping, para sailing . . . she’s done it all. Originally from Tennessee, the world traveler divides her time between Florida and Virginia where she mentors, tutors, and teaches math and gives authors talks at area schools.